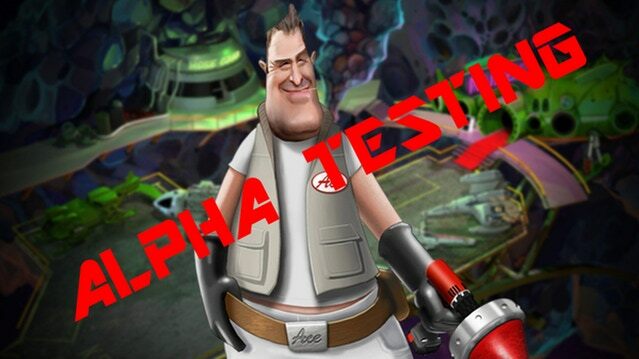 SpaceVenture is already in alpha testing and once the alpha testing phase is complete, beta testing will be made available to those who backed $30 or more during the Kickstarter campaign (which includes, yours truly). The game is now set for release towards the end of the year which means the game is overdue by five years (considering its initial release date was February 2013), so I'm sure a lot of fans (and the Guys from Andromeda themselves) are keen to see the game finally shipped! Also a top notch voice cast has been revealed including Rob Paulsen (probably best known as Pinky from "Pinky and the Brain" and Raphael/Donatello from the 1987 "Teenage Mutant Ninja Turtles"), Maurice LaMarche (best known for his roles as The Brain in "Pinky and the Brain" and various roles, including Kif Kroker, in "Futurama"), Robert Clotworthy (best known for his role as Jim Raynor in Starcraft), John Patrick Lowrie (best known for his role as the Sniper in Team Fortress 2) and Ellen Mclain (best known for her role as GLaDOS in Portal). It wouldn't be a true Space Quest successor without the Guys from Andromeda (Scott Murphy and Mark Crowe) making a cameo and they've indicated they'll indeed be making an appearance in the game along with the SpacePope (Chris Pope).